Nothing says a humid Sunday afternoon like a pick-up soccer game. Whether you play with a college team, participate with an organized co-ed league or just kick the ball around with friends from time to time, soccer is a great way to exercise. But, like all sports, it has its risks. In best cases, an ache will hinder your performance. In worst cases, it will take you out of the game for some time. But there are things you can do in the meantime, like using electrotherapy for soccer injuries, that will help ensure a speedy recovery. Electrotherapy refers to a few specific treatments. 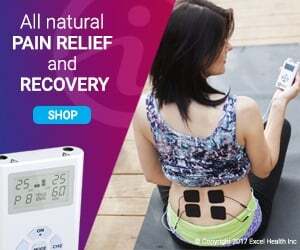 TENS (transcutaneous electrical nerve stimulation) offers a drug-free pain relief option. 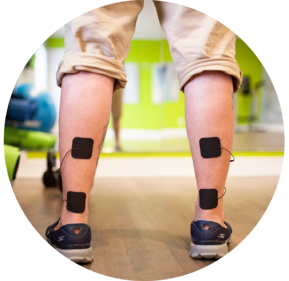 EMS (electrical muscle stimulation) works to stimulate the muscles, thus strengthening and aiding in recovery. Where over-the-counter and prescription drugs can have nasty side effects, electrotherapy has none. 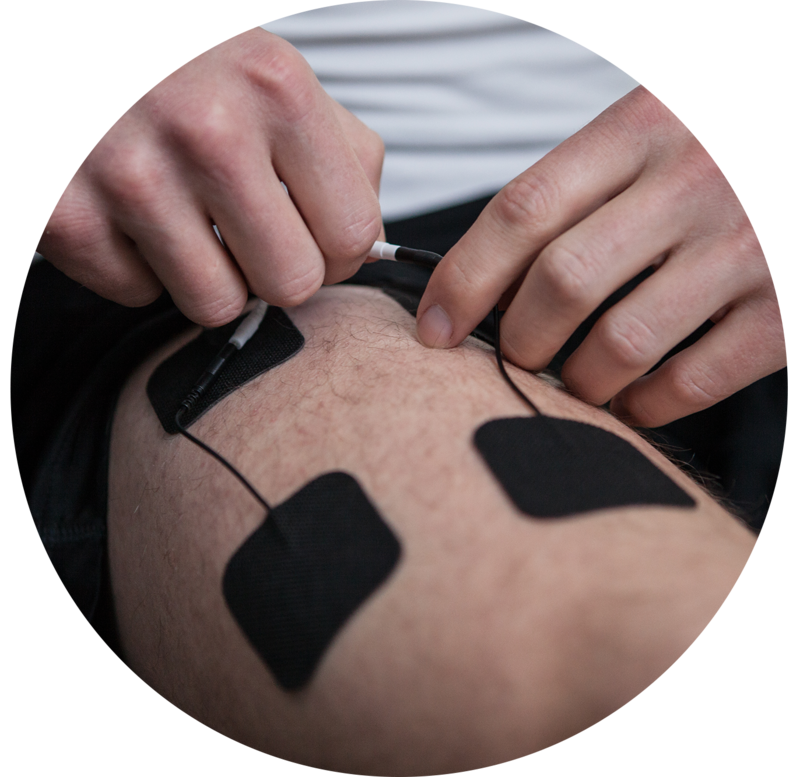 You can use electrotherapy for soccer injuries, but you can also use it to treat sore muscles and improve your performance. TENS units like iReliev’s are so small that they can be applied during practice or play. This will provide relief in motion and help keep you from straining more. 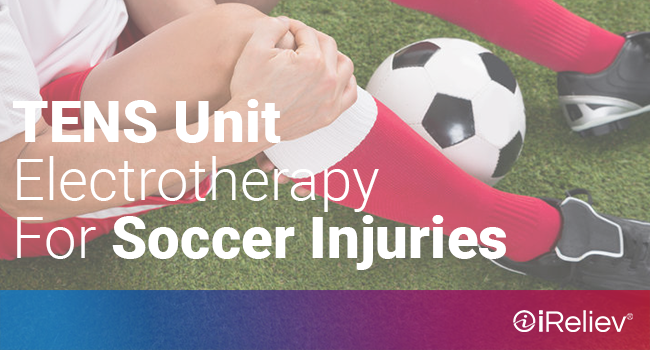 One instance in which a player can use electrotherapy for soccer injuries is in the case of sprains. Running and pivoting are huge parts of the sport. 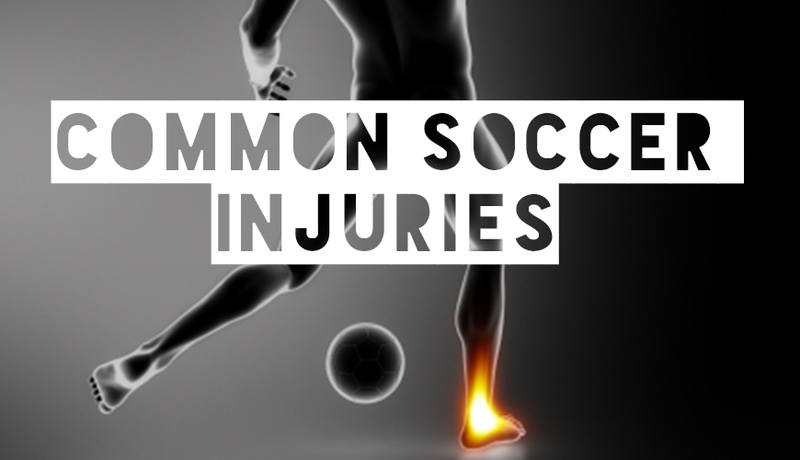 So, not surprisingly, one of the most common injuries in soccer is an ankle sprain. This is most likely to occur if a player has not warmed up properly, or if he or she doesn’t have properly fitting cleats. An uneven field may also cause injury. To help protect against all of these, use EMS as part of your warm-up routine as it will help strengthen the muscles. Sometimes, sooner or later, injury is unavoidable. You might sprain your ankle or knee when pivoting sloppily or fighting over the ball. In this case, it’s important to take proper care post-injury. The sooner you are healed, the sooner you can play again. Sometimes, an injury is bad enough that you will need medical attention. A fracture will need a cast. But even after the cast is removed, you may experience pain. TENS can help with this. 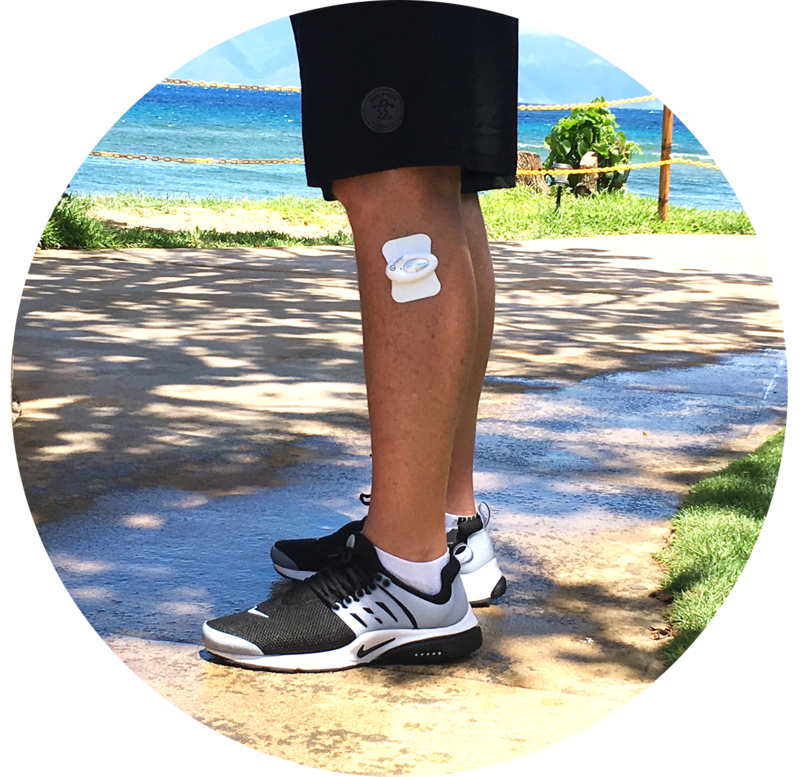 Place the electrode pads on the injured area for drug-free pain relief. Then, use EMS to help expedite the recovery. Another common soccer injury is a strained muscle. Like sprains, these become increasingly likely without proper warm-up. In soccer, the most common strains are in the thigh area—the groin, hamstrings and quadriceps are used for running and kicking—and the calf, which is prominent in running. When these muscles are used without proper stretching and warm-up before play, they can pull beyond their limit. A strained muscle can keep you out of play for a week or more. It is important to listen to your body and give it the rest that it needs. As you do so, you can use EMS to help keep the muscle stimulated even while it rests. Treating it with heat, ice, rest and electrotherapy will keep you on the road to recovery.